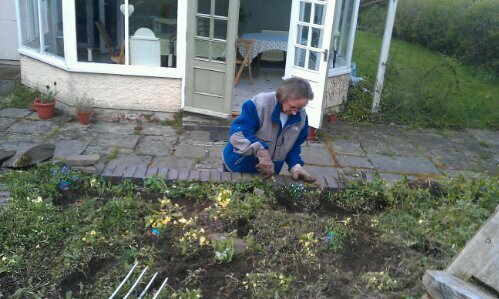 Here’s Marjorie weeding and planting trailing stuff like nemesis and lobelia which will hopefully look beautiful and colourful is a month or so. 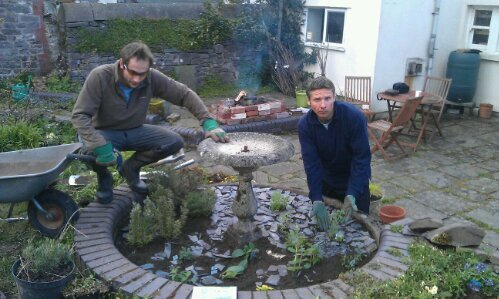 And Per and Stevie doing the new herb garden which replaces the pond- as we thought the pond wasn’t very child friendly for people staying here. And here are the London Balds with Judy. 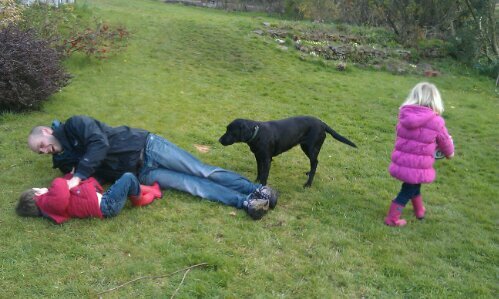 Although Thomas was carrying one of the chickens around the garden for most of the afternoon. 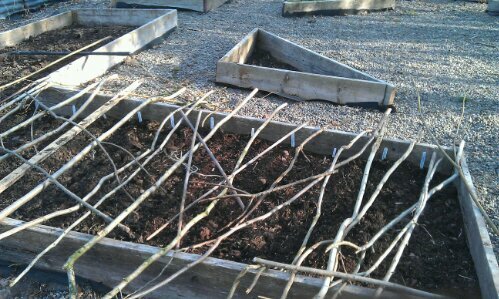 This year we are going to be self sufficient…. 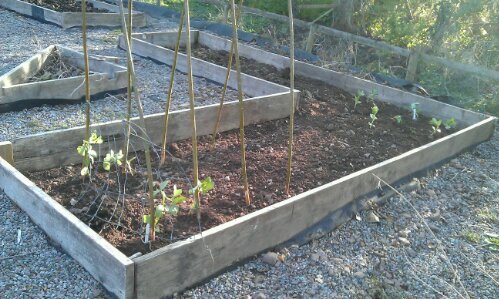 Well, not really but I’ve planted lots of seeds. Carrots, beetroot, parsnips, spring onions and leeks (the sticks are a slightly feeble attempt at keeping the hens from scrabbling around and ruining my neat rows. 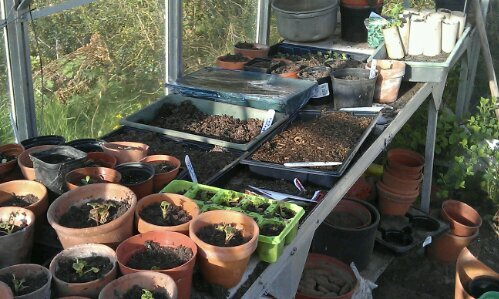 And here is the greenhouse, with geranium plugs, artichoke, courgettes, runner beans…. And other stuff. I unfortunately killed all the tomato seedlings that Lu so carefully grew in the frost.